Orange Is the New Black star Pablo Schreiber is in final talks to join John Krasinski in director Michael Bay's Benghazi thriller 13 Hours. The project is based on the true story of the September 11, 2012 terrorist attack at a U.S. Special Mission Compound and a nearby CIA Annex in Benghazi, Libya. The story is adapted from Mitchell Zuckoff's book Thirteen Hours: A Firsthand Account of What Really Happened in Benghazi, which recounts the attack. Pablo Schreiber is playing one of six members of an elite security team who fought to defend the compound. John Krasinski is playing a lead role as a Navy SEAL. U.S. Ambassador Christopher J. Stevens was killed in the attack, along with a foreign service worker, with two contract workers also killed in a second attack at a nearby CIA facility. Paramount acquired the rights to Mitchell Zuckoff's book last February, with Michael Bay coming aboard to direct back in October. Chuck Hogan (The Town, The Strain) wrote the screenplay adaptation, with Erwin Stoff producing through his 3 Arts Entertainment company. The project is described as much smaller in scope than Michael Bay's Transformers, with the director working from a budget comparable to his 2013 true story adaptation Pain & Gain. 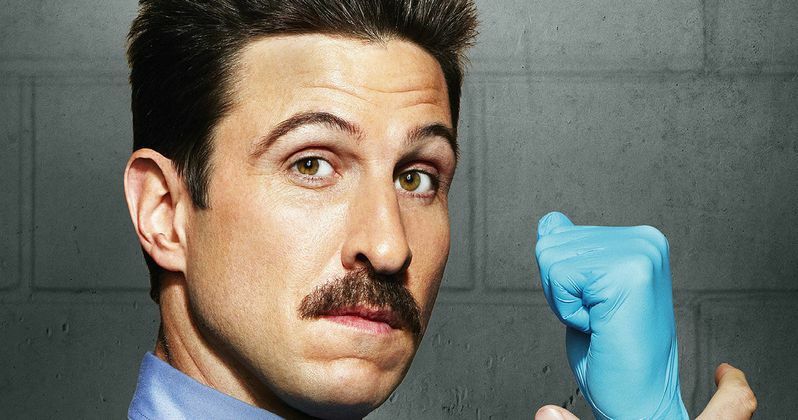 Pablo Schreiber is best known for playing George "PornStache" Mendez in Netflix's Orange Is the New Black, and he also starred in FX's short-lived drama Lights Out.